Budget travelers to Germany may be enticed to book a room at conveniently situated Cityhostel Berlin, but it is actually part of the North Korean Embassy and earns valuta for the repressive regime. A look at a global hotel reservation website confirms that many South Korean travelers have stayed at the hostel and left reviews. It also appears on a hotel search site on South Korean web portal Naver. Travelers seem mostly to have booked without knowing who runs it. Radio Free Asia reported that the hostel keeps operating even though it violates UN Security Council sanctions against North Korea. Resolution 2321 from last year bans North Korea from using embassies and other state-owned facilities for commercial purposes. The German government said in October that it would shut the hostel down, but it keeps taking reservations online. A bed in one of the eight-person dorms costs as little as 10 euros per night and the hostel is mostly full. North Korea has also been letting office space in its embassies in Poland and Romania to raise foreign currency. The Berlin hostel has been run since 2004 by a company that operates hostels and conference centers and apparently makes 40,000 euros a month. 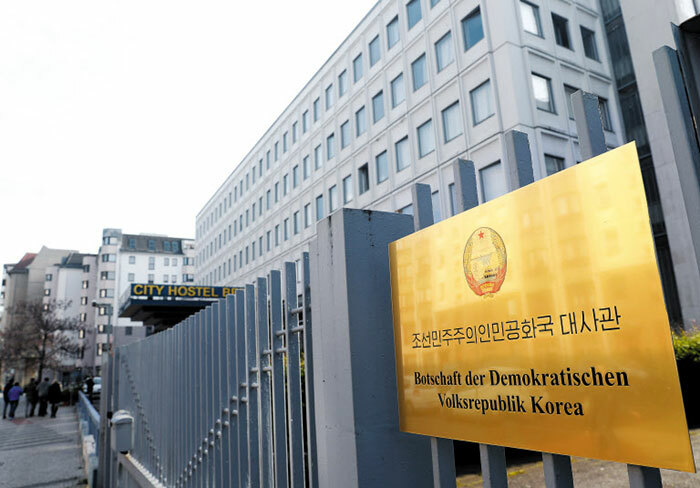 The German government demanded that the North Korean Embassy shut the hostel, but has been unable to do enforce it because the embassy is extraterritorial.